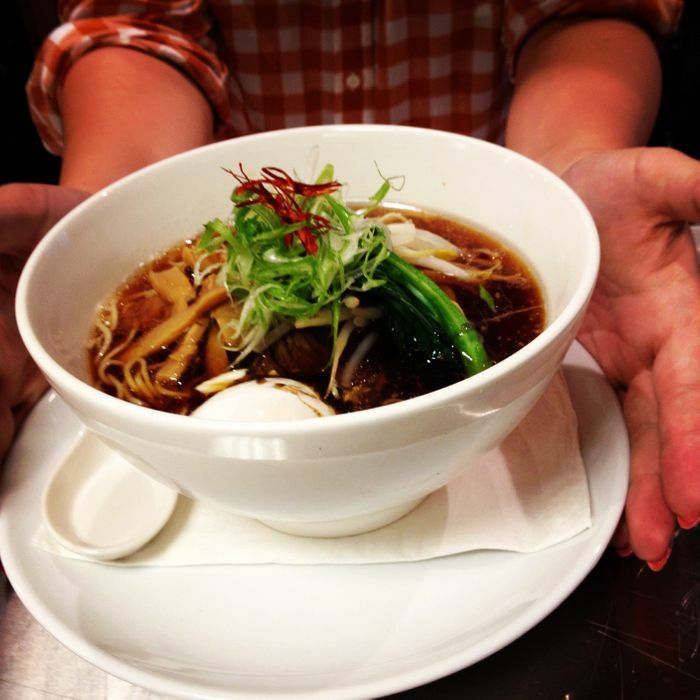 Tonight, a new ramen den called Ganso opens in Downtown Brooklyn. The noodle joint is the brainchild of food writer Harris Salat, who cooked in Tokyo and Kyoto restaurants. And now Salat has teamed with Ryuji “Rio” Irie — who’s worked at La Caravelle and Matsuri. Irie plans to get back to “comfort food” with Ganso, which means you can expect fried chicken with soy and ginger, kari kari buns, and miso-cured skirt steak with potato korroke. Chicken and beef come from local farms (as if there’s any other option these days), as do the braised seasonal greens adorning bowls of the short-rib and house ramen, a shio broth-based variety decked out with two kinds of slow-cooked pork and an egg. Check out the full menu below.